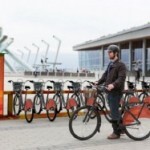 Vancouver has approved a public bike share program with 1,500 bikes at 150 solar-powered stations. 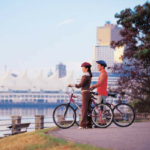 Vancouver will have the largest public smart-bike share system in North America according to Jerry Dobrovolny, the city’s general manager of engineering services. The program’s proposed start date is June 15 when the city expects to have 1,000 bikes ready to go, followed by another 500 by the end of summer. If Vancouverites fall in love with the bike share program the fleet could be expanded to 2,500 bikes. 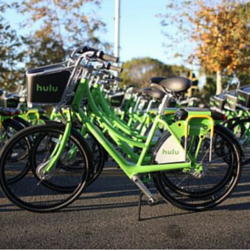 Bikes will be available at 150 stations two or three city blocks apart in the approved operating area. During the first phase of the program, the zone will be limited to the area bounded by Main Street in the east, Arbutus Street in the west and 16th Avenue in the north. Users can take the bikes outside the zone as long as they are returned. Built-in cables will allow users to secure bikes to permanent structures. 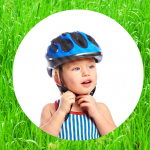 Helmets are available at no extra cost. Payment is via a smart card, a mobile app or through payment kiosks. The city hasn’t disclosed how much it will cost to rent a bike. A similar program in Ottawa charges users $2.50 for a half hour or $15.00 per month.